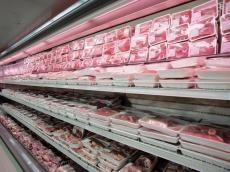 The rise of meat price in recent days in Iran has created additional problems for the market and affected the consumption level of the low income class, the member of parliament's Agriculture, Water and Natural Resources Committee Nazar Afzali told Trend. "The livestock smuggling has increased after rise of US dollar rate, the surge has caused the lack of meat supplies in the country," he said. Afzali went on to say that the smuggling of breeding livestock supplies is a big challenge for the country and if this approach continues without the necessary supervision, soon more shortage will follow. "The country's imports need prior to the rise of USD rate was 100,000 tons of meat, the domestic production volume was 800,000 tons and alongside imports meat the country need for meat was 900,000 tons. Now due to recent smuggling, in past months the domestic production level has dropped dramatically, while the volume of imports increased," he said. "This has caused the rise of meat price, today many families have cut their meat consumption due to high prices," he added. According to the MP, the first thing in managing the market is to control the borders, so further livestock smuggling would be prevented. "The fattening period of livestock is three months, after that there will be time to supply the livestock to the market, so hopefully necessary help would be provided by the government," he said. He went on to say that all officials should work together to solve the issue of this significance and prevent the trend that is against nation's interests.